IndyCar’s new addendum to Rule 9 regarding detrimental conduct toward the series and its competitors provoked much wailing and gnashing of teeth Tuesday when it was announced. Judging by the reaction in the press and Twitter environs, we think many of the windier wind bags doth protest too much, as usual. Because common sense once existed and thrived in this country, no major professional sports league allows its participants to publicly belittle the sport. IndyCar only fortified its stance in this regard after a number of drivers did exactly that in California. 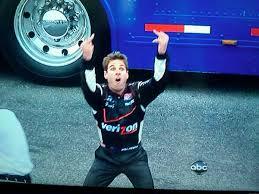 Will Power and Juan Montoya‘s utterances following the thrilling MAVTV 500 at Fontana were completely unacceptable. Their degrading judgments were way out of line and as we wrote deserved action. Now action has been taken. 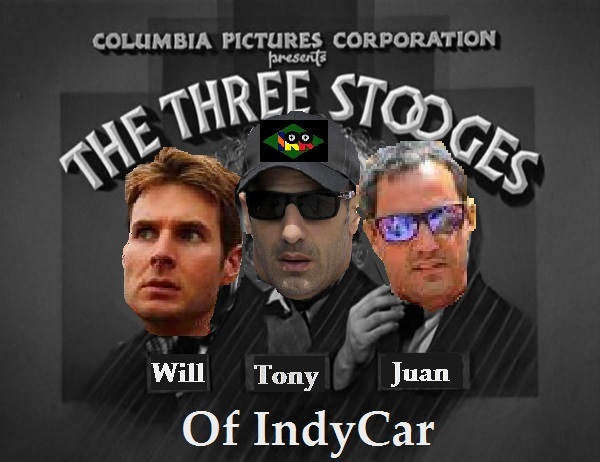 Don’t blame IndyCar however, blame Power and Montoya. A study of society shows that’s the way it almost always works – a few bad apples, malcontents, idiots or incompetents screw things up for everybody else by bringing about new rules that everyone had lived perfectly well without. That’s why freedom today’s in so much jeopardy. Power and Montoya are those two kids in class who can’t resist eating the paste, so because of them nobody gets craft time. Thanks a lot, losers. But wait. IndyCar honcho Mark Miles insisted the change isn’t a “gag rule” and that it will be reasonably enforced, noting the Carpenter-Sage kerfuffle in Iowa didn’t rise to this level. Time will tell, as IndyCar penalties aren’t always the most consistently applied. Miles also made it clear Montoya’s calling the tremendous racing at Fontana “stupid” was out of bounds, which it obviously was. Power’s comments were also uncalled for and crossed the line in our view, plus he has a history of such outbursts. We’re not big fans of “Mad” Will to begin with. While some see the rule change as giving drivers the finger, we disagree and wish in a few cases it were. It’s simply meant to clarify the series’ position – if you work here, don’t denigrate us – and prevent such bad mouthing in the future. That seems perfectly reasonable to us. Some drivers do deserve the finger though, as they poked their fingers in the eye of the series at Fontana – and its fans. This entry was posted in 2015 season, detrimental conduct, IndyCar, irreverent humor, Rule 9, rules change and tagged Ed Carpenter, Fontana, Juan Pablo Montoya, press, Sage Karam, Team Penske, Twitter, Will Power by IndyRaceReviewer. Bookmark the permalink.